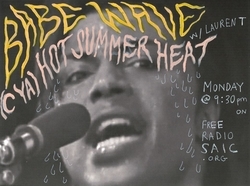 Ladies and gentleladies – the return of BABE WAVE is upon us. 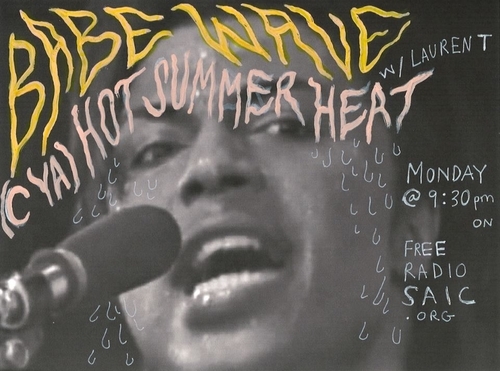 Lauren T is back on the air waves and infiltrating your ear waves at Free Radio SAIC every Monday again this year, and she’s kicking things off proper by kicking some Summer Heat jams. Lots of soul and rock and roll and grime and the perfect thing to get you going this Tuesday afternoon. We’re not sure what all surprises the babes at Babe Wave have in store for us this year, but if it’s anything like last year then we’re definitely gonna be getting some good tunes and times. 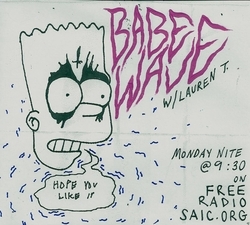 As always – you can catch BABE WAVE every Monday night on Free Radio SAIC.